For this monthly staff feature we came to the conclusion that because not everyone on the staff has been to the same festivals, thus having the opportunities to see the same films, that each writer from the staff would list their own individual Top 5 Films of 2013 (So Far). You can tell just by looking at our lists that there is a wide range of quality films that have been released at the halfway mark of 2013. 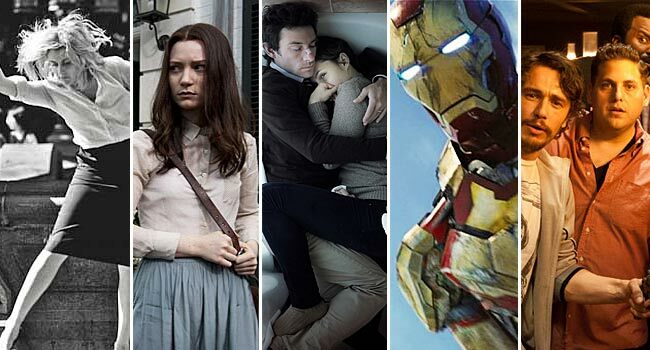 While we wait to see what upcoming gems 2013 will bring us, here are the best films of the year so far. 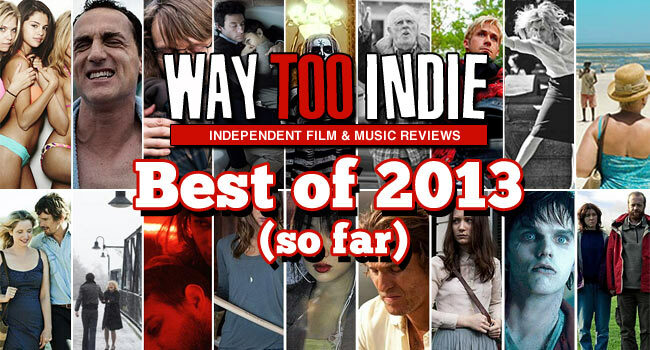 2013, what a year you’ve been so far for us film going folk. You’ve made me cry (A Haunted House, Aftershock), you’ve made me laugh (Warm Bodies in a good way, A Good Day to Die Hard in a bad way) and you’ve had me cheering from the rafters (Gareth Evan’s Safe Haven, Fast and Furious 6). You were better than the first half of 2012 so keep up the good work. Picking my favorite 5 films of the year so far has proven to be a malicious act. I’ve seen some great films. There are easily more than five and since I can only have that amount, I shall list what barely misses here. These are my, as Roger Ebert would call them, Special Jury winners: Graceland, The Silence, The Act of Killing, The Place Beyond the Pines, and Side Effects. My top two films of the year so far are interchangeable, as they’re both brilliant, but in different ways. Before Midnight is nearly flawless—I was floored by every facet of it. Sarah Polley’s documentary/family-drama/soap-opera/whodunit, Stories We Tell, is a Frankenstein’s monster of personal filmmaking goodness that exists outside any genre. These two films are absolute beasts, and there are miles between them and the rest of the movies I saw this year. 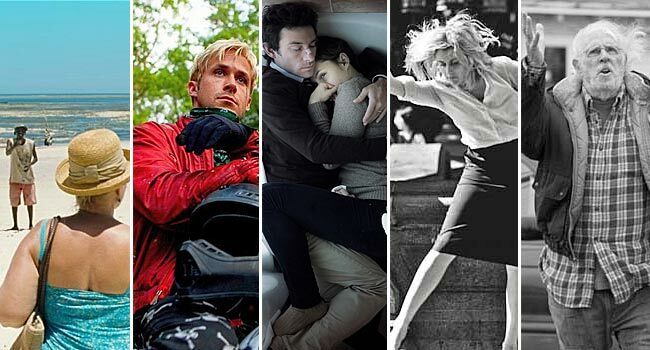 That said, it would be amazing if a film in the last half of 2013 can top them somehow. Fingers crossed! 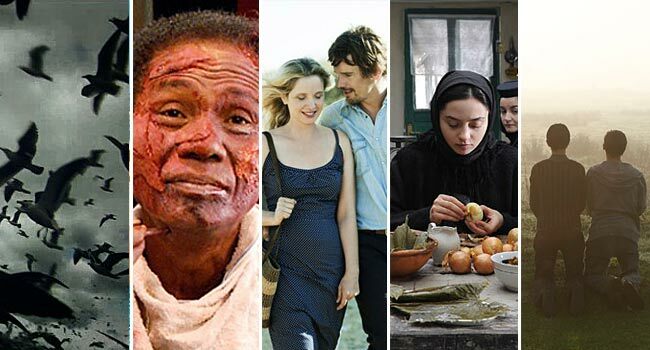 I had the opportunity to see so many great films at this year’s Sundance London Film Festival, but only a few have so far have had confirmed releases, In a World will be heading to the UK this September. It was a tremendous comedy written, directed and performed by Lake Bell – I would recommend anyone to go see it when it hits cinemas! I also had the chance to see Mud at the festival and loved every minute of it. Stoker, (directed by Chan-wook Park, Oldboy) was a phenomenal film – its stunning visuals and intense storyline had me utterly gripped throughout, sincerely recommend for those who like Park’s style. Warm Bodies was a great film that turned our expectations of a zombie film upside down, making the dead come alive and love again. I really did not think I would take to Sightseers as much as I did, most of the film I was thinking – “what the hell is going on” – but the last few scenes had me in stitches. Looking forward to seeing: This is the End, The East, and Before Midnight. I’ve never seen a year where my two favourite films (at this time) are documentaries, let alone ones that push the capabilities of documentary filmmaking and cinema itself into new directions. I had an internal debate about my placement of both films on this list. Do I give the #1 spot to the film with the most societal and moral impact, or the film with the most cinematic impact? In the end I couldn’t choose, so I let them both share the top spot. The other three are all terrific, and Bernard has explained enough why Before Midnight is great, but these first two shook me to the core. Other films that barely made the cut: Spring Breakers, Side Effects, The Place Beyond The Pines, Valentine Road. Perhaps it’s the celebration of the end of a long recession, but of 2013’s film offerings thus far, the ones that have seemed strongest to me are all of a lighter fare. Granted I haven’t seen A Hijacking, Mud, or The Stories We Tell (which would probably make this list because I have a huge girl-crush on Sarah Polley). I can wait for the fall to indulge in the heavier stuff, including all those festival films not yet released (Blue is the Warmest Color, holler). But sometimes lighter is better. From the bottom, This is the End is the best buddies-in-a-crises film I’ve seen since Shaun of the Dead and had my abs hurting for days. A three-quel on my list? I’m just as shocked, but when Hollywood’s wittiest writer, Shane Black, unites with the world’s wittiest superhero, Iron Man (played by the man Black was born to write for, Robert Downey Jr.) it’s a match made in Marvel heaven. Upstream Color isn’t easier to follow than Shane Carruth’s first film Primer, but was much easier to accept and had a lovely hum to it. It’s no secret I’m a sucker for films of the dark and twisty variety, and Stoker manages to be elegant with its seductive spookiness. Frances Ha, at the top of my list, stroke some realistic chords with this urban-dwelling 20-something, and Greta Gerwig shines as she makes what could be an aimless hipster, a relatable heroine. All in all, 2013 has me feeling rather positive thus far. 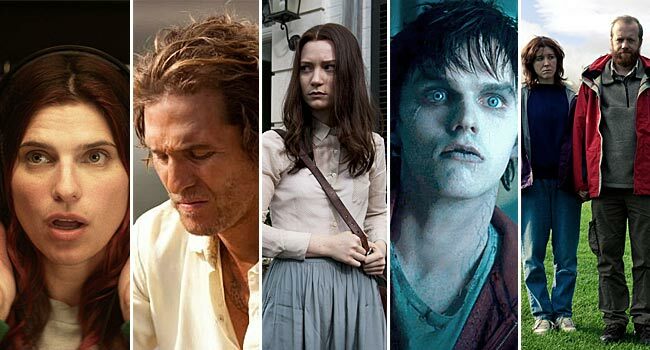 Honorable Mentions: Side Effects (The twists and pacing of Ocean’s 11 with the gravitas of Contagion) and since we’re keeping it light with my list Warm Bodies successfully paired young love and zombies to my great delight. It is not all that surprising that three of the top five films I have seen so far in 2013 had played at this year’s Cannes Film Festival. But only one of those (Nebraska) is allowed to be on this list as the other two (Like Father, Like Son and The Great Beauty) do not meet our prerequisite of having a hard 2013 U.S. release date yet. But because 2013 has been a solid year for films so far, it was not difficult to find two other films to take their place. And it will only get better during the fall festival circuit and awards season. Though I saw Ulrich Seidl’s hard-to-watch yet stimulating Paradise: Love last year, it is still the top film for me with a 2013 release date. A few films that just missed the cut for me were: To The Wonder, 28 Hotel Rooms, and The Act of Killing. I should also include a few films that I have not seen yet: Mud, Fruitvale Station, Before Midnight, and Post Tenebras Lux.